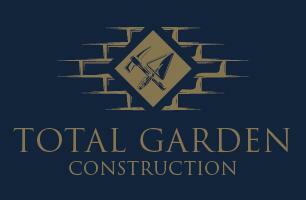 Total Garden Construction - Driveways/Patios/Paths based in Carshalton, Surrey. Total Garden Construction is a family run business with over 25 years highly skilled experience in the landscaping industry. Owned and run by Ryan McDonald who prides himself on his passion for transforming spaces and providing workmanship to the highest of standards. We are a dedicated team who provide a professional start to finish approach to each unique project. We use the highest quality materials and can provide good knowledge in recommending suited materials for each project, whether it be for that contemporary look or old english country garden, we've got you covered. Our procedures of work are carried out close to each of our clients to ensure the very best end results are achieved and focusing on providing excellent standards of customer service. Committed to delivering a professional service through careful preparation, in-depth knowledgeable techniques, innovative design, advanced problem solving and attention to detail. Our aim is to meet and exceed the expectations of our clients. We provide free quotations and advice. The areas we cover include parts of South London and Surrey areas. Total Garden Construction is fully insured for Public Liability.